Klitgård, B.B. &amp; Lewis, G.P. (2010). 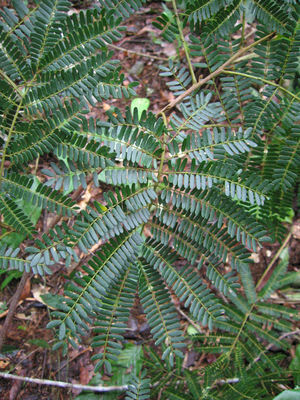 Neotropical Leguminosae (Mimosoideae). Habits: herbs (rarely aquatic), shrubs, vines, lianas (often with tendrils and/or hooks), and trees; stipules present (although often falling early), sometimes large and leaf-like, sometimes modified into spines. 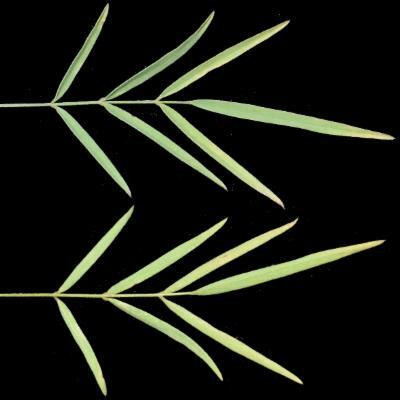 Leaves usually alternate, simple, unifoliolate, 3-foliolate, pari- or imparipinnate or bipinnately compound, then pinnae with one to numerous pairs of leaflets; petiole with a basalpulvinus (when unifoliolate then with an apical one as well). Inflorescencesaxillary or terminal, racemes, spikes, panicles, heads or solitary flowers. Flowers usually bilaterally symmetrical, usually actinomorphic in subfamily Mimosoideae, and sometimes actinomorphic in Caesalpinioideae and Papilionoideae, usually hermaphrodite, rarely unisexual; sepals (4-)5, free or fused; petals 4-5, sometimes absent or 1-3, varying in size and shape; androecium usually of 9 or 10 stamens, sometimes reduced to 1, 3, 4, 5 or 6, and sometimes of 50-100+ (part of subfamiliy Mimosoideae), filaments partly fused into a tube or free, anthers dehisce by short to long longitudinal slits, or sometimes by apical pores; nectary(ies) is/are often present around the superiorovary, carpel 1 (rarely many), locule 1 (rarely 2), the ovules 2-many. Fruits usually a one- to many-seeded legume, dehiscent or indehiscent, dry or fleshy, inflated or compressed, sometimes winged (samaroid) or breaking into one-seeded articles (lomentaceous), rarely a drupe, sometimes a craspedium. Seeds sometimes with more or less elaborate aril, usually with a hard seed coat; endosperm little or absent; embryo large, the cotyledons conspicuous. 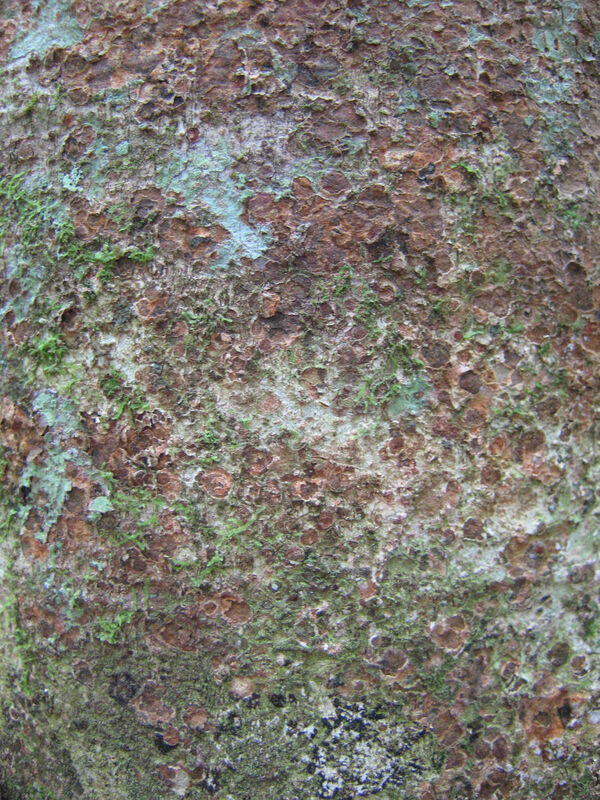 Habits: trees, shrubs, lianas, rarely aquatic herbs; root nodules generally present. Leavescompound, usually bipinnate or less frequently paripinnate, often with specialized "ant" glands, rarely with a tendril. Flowers radially symmetrical, usually small, aggregated into heads or spikes; sepals generally united at the base; petals valvate in bud, the median petal (similar in size and shape to the other 4) not overlapped or overlapping the other 4; stamens (3-)10-100(-100+), usually all similar in shape and size, filaments free or fused at the base, always exserted from the corolla. 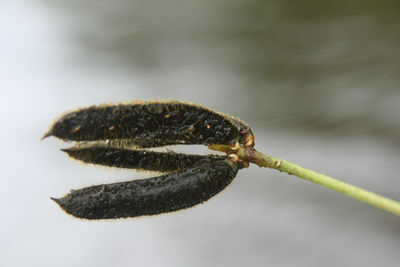 Seeds usually with an open pleurogram on each lateral surface. 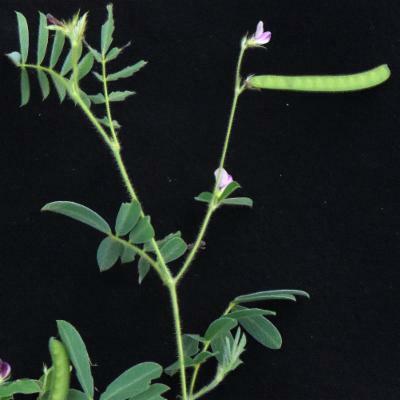 In the APG system the Leguminosae (Fabaceae) is a monophyletic group which is resolved in a clade with Polygalaceae, Quillajaceae and Surianaceae in the Rosids I clade - which consists of the Fabales, Rosales, Fagales and Cucurbitales. 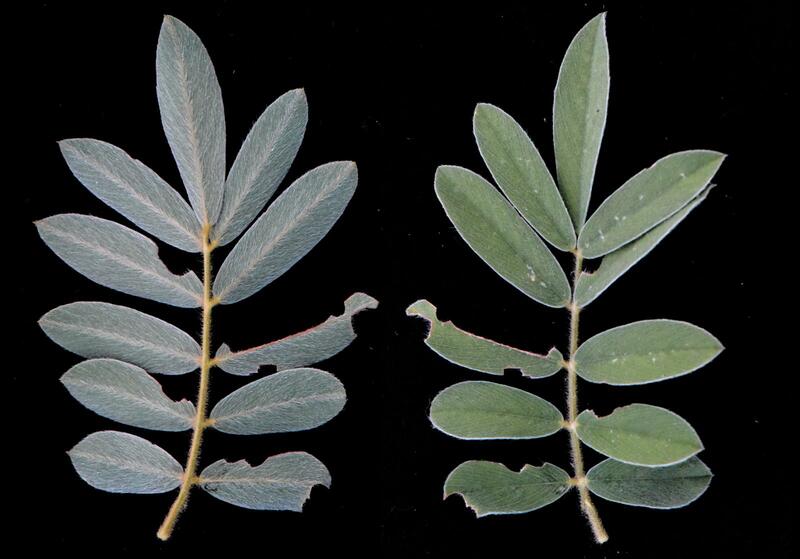 Legume systematics has benefited from major advances in our understanding of the morphology and classification of the family (Polhill & Raven, 1981; Polhill, 1994), as well as from more than ten years of intensive molecular phylogenetic research by several groups of researchers around the world (e.g. Doyle et al., 2000; Wojciechowski et al., 2000; Pennington et al., 2001; Kajita et al., 2001; Herendeen et al., 2003; Luckow et al., 2003; Wojciechowski, 2003; Wojciechowski et al., 2004, Lewis et al., 2005). By revealing that several of the informally named generic groupings, legume tribes, and even subfamily Caesalpinioideae, as traditionally circumscribed, are not natural groups, these analyses have often resulted in radical redefinition of generic and tribal limits, and to the discovery of previously overlooked relationships amongst taxa. Although it is too premature to recognise all of these new groupings formally, the analyses do indicate a largely robust pattern of overall relationships in the family. The Caesalpinioideae forms a basal grade from which a monophyletic Papilionoideae and Mimosoideae arise. Should legumes be treated as one family or three? (Lewis & Schrire, 2003): There is an increasing body of evidence in support of the legumes being one monophyletic family (Doyle et al., 2000; Wojciechowski, 2003) and this seems likely to be reinforced over time given the degree of interrelatedness between taxonomic elements within the legumes compared to that between legumes and "nearest neighbour" families (Polygalaceae and Surianaceae). 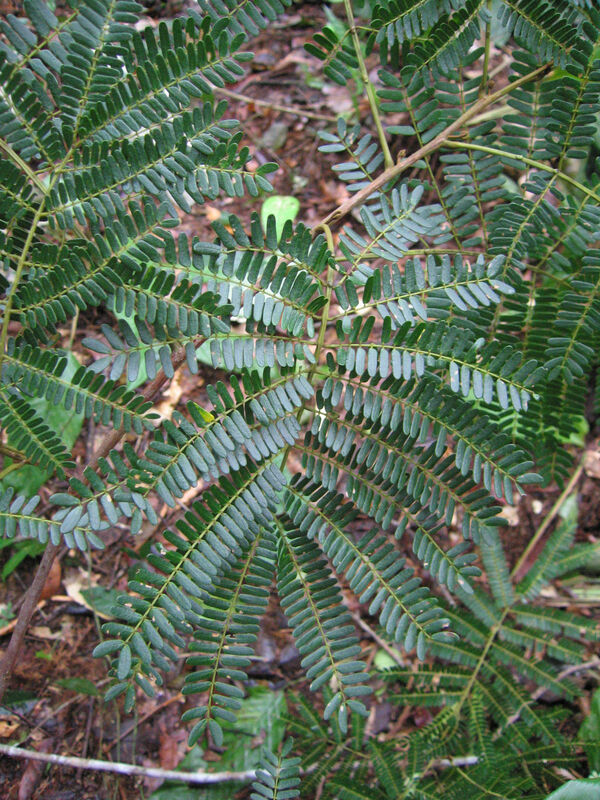 While several recently published floristic accounts still refer the legumes to three separate families the most recent regional account of the legumes, Leguminosae of Madagascar (Du Puy et al., 2002), follows the latest systematic evidence and recognises the legumes as one family with three subfamilies: Caesalpinioideae, Mimosoideae, and Papilionoideae. The three family argument for treating legumes must now be considered untenable on two counts. Firstly, the Mimosoideae and Papilionoideae are apparently unique and distinct lineages which arose independently within the large, basally branching, non-monophyletic caesalpinioid alliance and they are not comparable to it on the same taxonomic level. Secondly, the Caesalpinioideae, as traditionally circumscribed, is currently under detailed scrutiny (Bruneau et al., 2000, 2001, 2008; Herendeen et al., 2003) and division of the subfamily into several more clearly definable groups comparable in status to the other two subfamilies seems inevitable once further detailed studies have been concluded. Leguminosae or Fabaceae? What is the correct name for the family? (Lewis & Schrire, 2003, 2005). 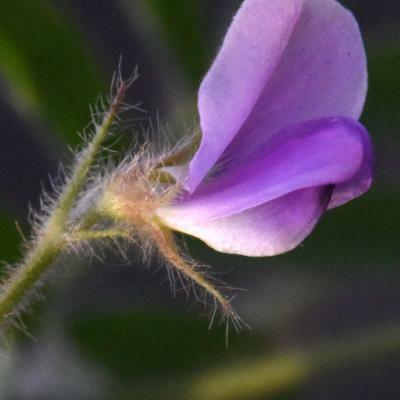 Having established that the legumes are one family there remains the problem of what name to give it, and on this issue legume specialists differ on whether to use the family name Leguminosae or Fabaceae. Both names are acceptable following Articles 18.5 and 18.6 of the International Code of Botanical Nomenclature (Saint Louis Code, 2000). Fabaceae, based on the genus Faba Mill. 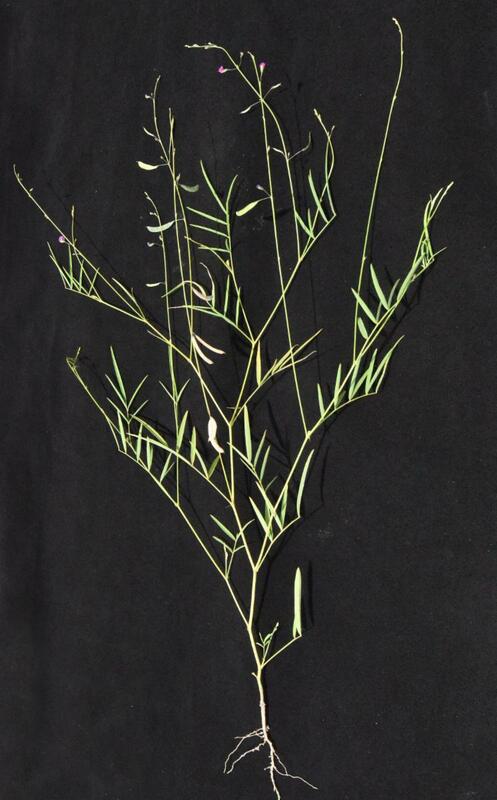 (now considered as a generic synonym of Vicia L.), was first used by J. Lindley (1836). For those who prefer that the suffix "aceae" be added in all cases to the stem of a legitimate name of an included genus" Fabaceae thus stands as the only acceptable name for the family derived from genus Faba (Stafleu, 1978; Isely & Polhill, 1980). 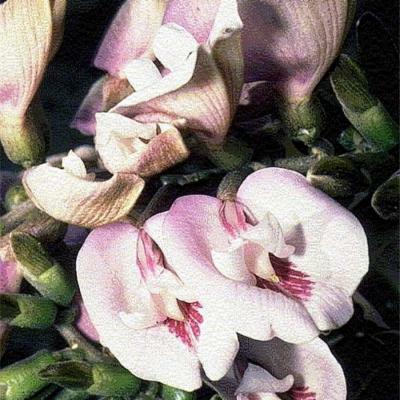 Use of the term Fabaceae is, however, ambiguous since it may refer either to the legume family as a whole (thus including all three subfamilies, as in Zarucchi et al., 1993), or to subfamily Papilionoideae (which contains the genus Faba) when this is considered under its alternative taxonomic status as one of three separate families, the Papilionaceae (as in Neill et al., 1999). 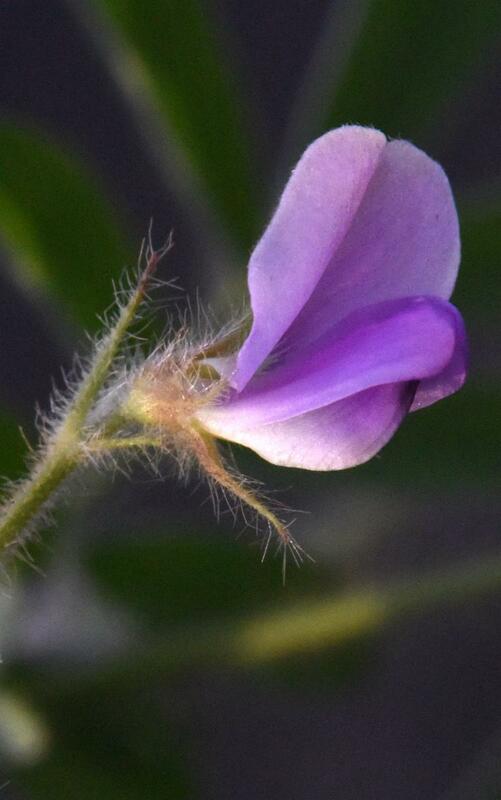 The use of the family name Leguminosae exists, however, as an accepted alternative name for Fabaceae, since the 1978 International Code of Botanical Nomenclature (ICBN) permits the use of alternative names for certain families "sanctioned by long usage". 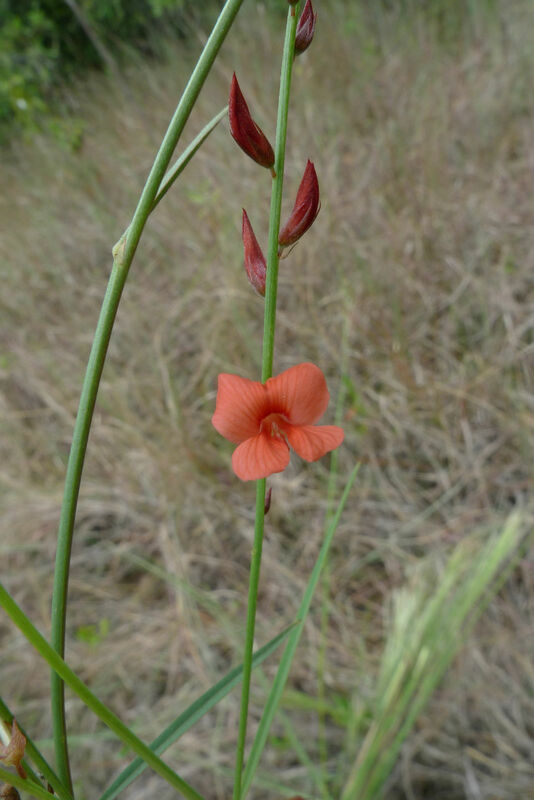 The most recent ICBN (Saint Louis, 2000) also states (Article 18.5) that the Leguminosae is a validly published name and it is thus an acceptable alternative to Fabaceae. The options, therefore, are:1) Leguminosae (at family level); Papilionoideae, Mimosoideae and Caesalpinioideae (at subfamily level).2) Fabaceae (= Leguminosae, at family level); Faboideae (=Papilionoideae), Mimosoideae and Caesalpinioideae (at subfamily level). 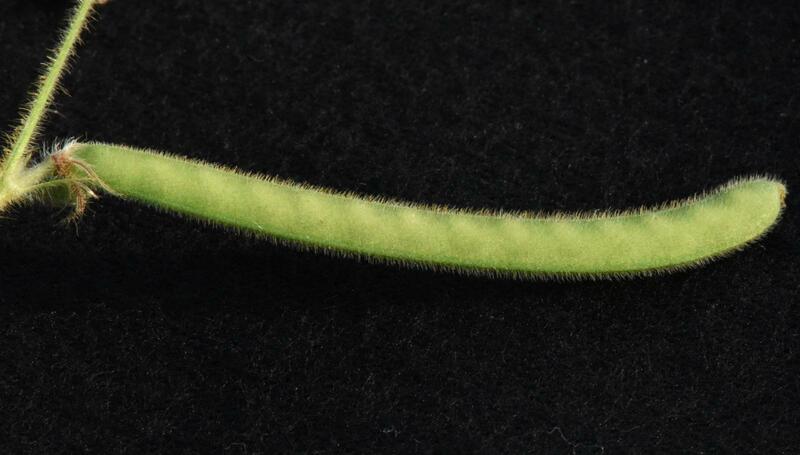 The legumes are here treated as one family.3) Fabaceae (=Papilionaceae, at family level). This is here treated as one of three families with Mimosaceae and Caesalpiniaceae as the other two. Legumes have been gathered, cultivated, eaten and used in a multitude of other ways by humans for millennia and are arguably as important as grasses in global terms. Certainly the range of uses of legumes is broader than that of the grass family (Doyle & Luckow, 2003). Legume products contribute enormously to the world`s economy through food (for animals and humans) and drink, pharmaceuticals and medicine, bio-fuels, biotechnology (as industrial enzymes), building and construction, textiles, furniture and crafts, paper and pulp, mining, manufacturing processes, chemicals and fertilisers, waste recycling, horticulture, pest control, and ecotourism. Across the globe legumes have been used as substitutes for coffee, tea, tobacco, betel-nut, hops, garlic, ebony wood, cocaine, soap and liquorice (true liquorice, Glycyrrhiza glabra L. is also a legume). Ancient cultures were aware of the ability of many legumes to improve the soil, even if they did not then appreciate that this results from symbiotic nitrogen fixation (Van den Bosch & Stacey, 2003). Some 40 to 60 metric tons of nitrogen are fixed annually by agriculturally important legumes (Graham & Vance, 2003). Many species are used as soil improvers and stabilisers and in reforestation programmes. 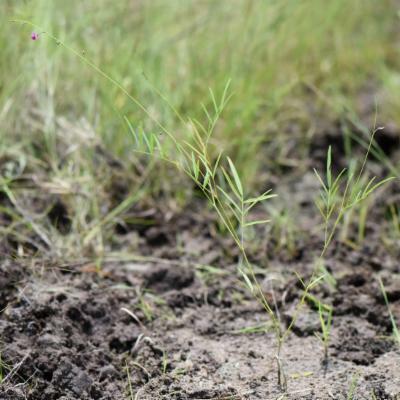 Natural accumulation of nitrogen has also resulted in predation of legumes by a wide range of animals and insects. To combat this, the family has evolved a wide repertoire of chemical defences based on secondary compounds, especially alkaloids. Humans have exploited the chemistry of legumes by utilising many species as medicines, insecticides, molluscicides, abortifacients, purgatives, fish, arrow and ordeal poisons, anti-fungal agents, aphrodisiacs and hallucinogens. Some legumes have been used as antidotes to poisons, as anti-inflammatories and antiseptics. The senna pod is a well known laxative. Several legumes are rich in gums used as glues and food thickeners (e.g. Acacia Mill. s.l., Astragalus L.), resins used in paints, polishes and varnishes (e.g. 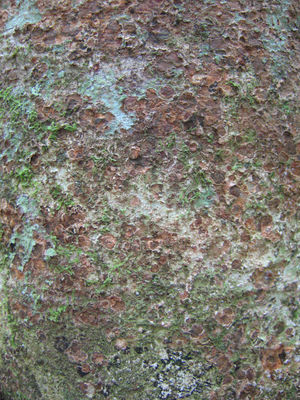 Hymenaea L., Copaifera L., Prioria Griseb.) and oils used in lubricants and cosmetics. Important dyes, such as brasil, indigo and dyer`s greenweed all come from legumes, and several species are used as inks, and for tanning leather. Grain and forage legumes are grown on approximately 180 million hectares (12 to 15 percent) of the Earth`s arable surface and account for 27 percent of the world`s primary crop production with grain legumes alone contributing 33 percent of the dietary protein nitrogen needs of humans (Graham & Vance, 2003). The main dietary legumes (the pulses) include several species of bean (Phaseolus L.), the pea (Pisum sativum L.), chickpea (Cicer arietinum L.), broad bean (Vicia faba L.), pigeon pea (Cajanus cajan (L.) Huth), cowpea (Vigna unguiculata (L.) Walp.) and lens (Lens culinaris Medik.). Legumes (mainly soybean, Glycine max (L.) Merr., and peanut, Arachis hypogaea L.) also contribute more than 35 percent of the world`s processed vegetable oil (Graham & Vance, 2003). Forage legumes provide the protein, fibre and energy that have underpinned dairy and meat production for centuries. 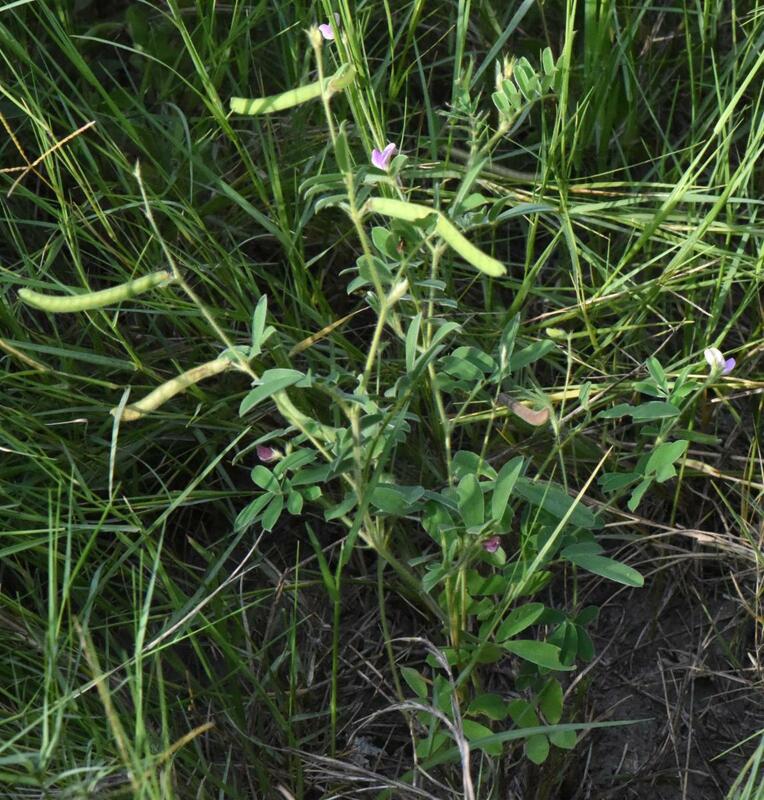 In temperate regions, alfalfa (Medicago sativa L.) is an important forage for cattle. Other important temperate pastures used for forage, hay, silage and green manure, include clovers (Trifolium L. species), trefoil (Lotus corniculatus L.) sweetclovers (Melilotus Mill. 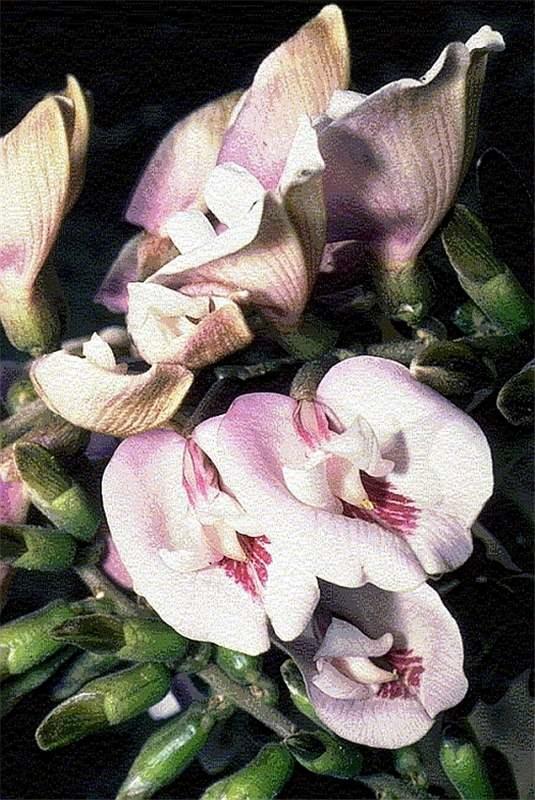 species) and vetches (Vicia L. species). 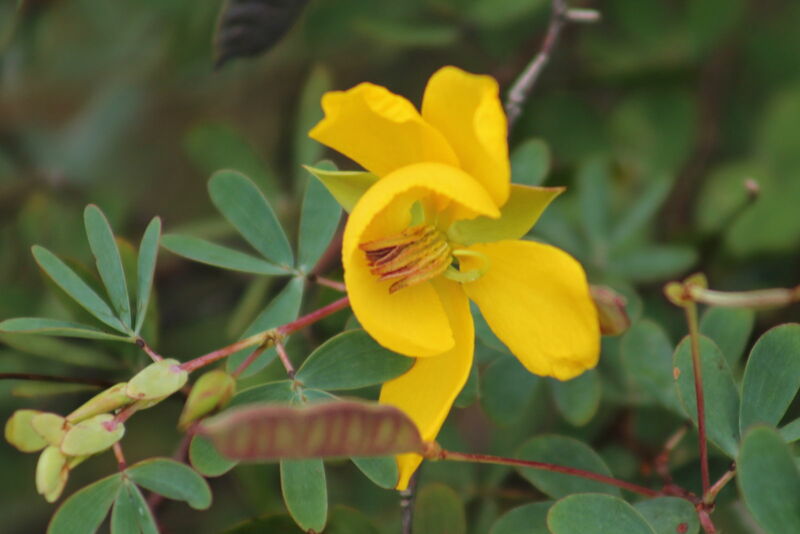 In the tropics, species of Aeschynomene L., Arachis L., Centrosema (DC. )Benth., Desmodium Desv., Macroptilium (Benth. 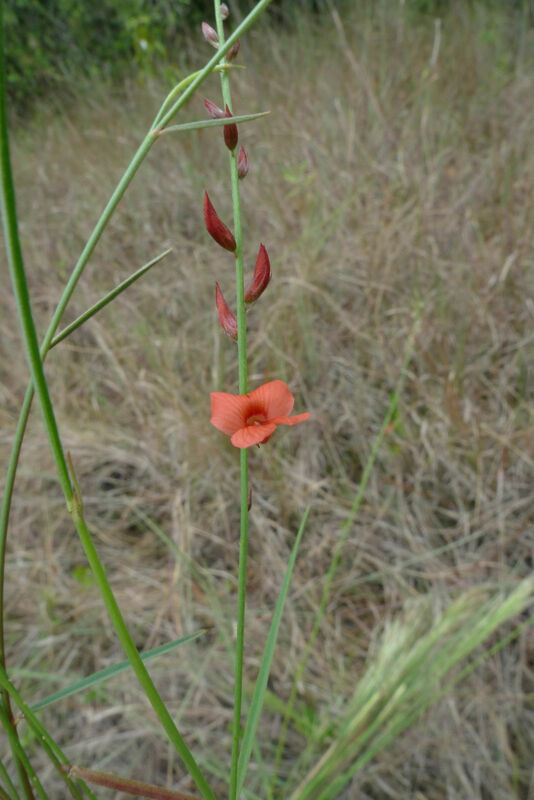 )Urb., and Stylosanthes Sw. are all being used to improve tropical pasture systems, with Stylosanthes the most geographically widespread (Graham & Vance, 2003). In the tropics, avenues and parks are invariably adorned with a representation of Albizia Durazz., Cassia L., Delonix Raf., Senna Mill. and Tipuana Benth. Spectacular, showy-flowered species of Caesalpinia L., Calliandra Benth., Mucuna Adans. and Strongylodon Vog. have also become popular in tropical gardens. 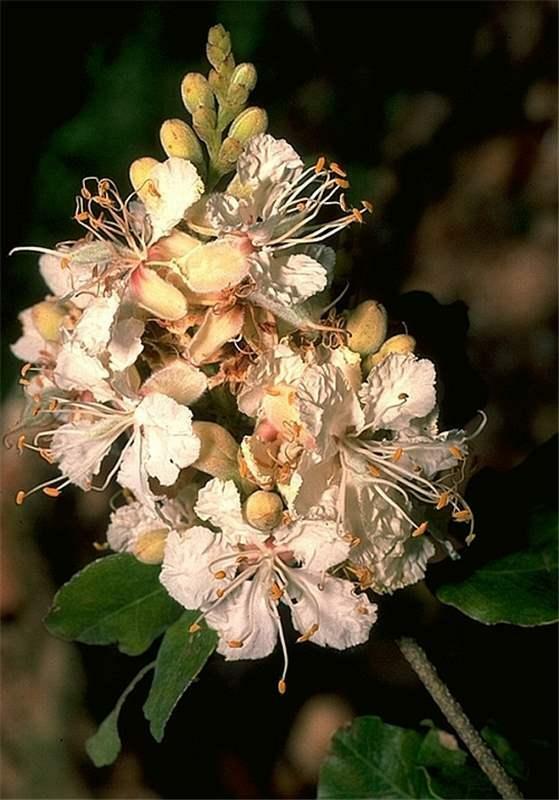 In the subtropics an even greater variety of genera and species have been introduced into horticulture. 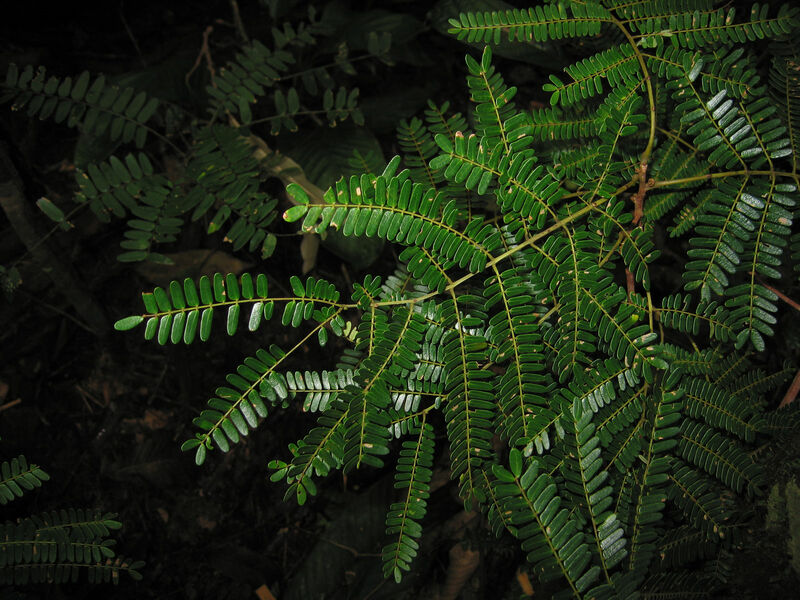 Some of these, such as Dichrostachys Wight & Arn., Leucaena Benth., Mimosa L. and Sesbania Scop., have become weedy and invasive, having escaped their natural pests and diseases. Multipurpose trees and shrubs have long been selected and refined by local communities for shade, ornament, forage, fodder, fuelwood, bee forage for honey production, and soil enrichment. Regional favourites include Calliandra, Gliricidia Kunth, Inga Mill. 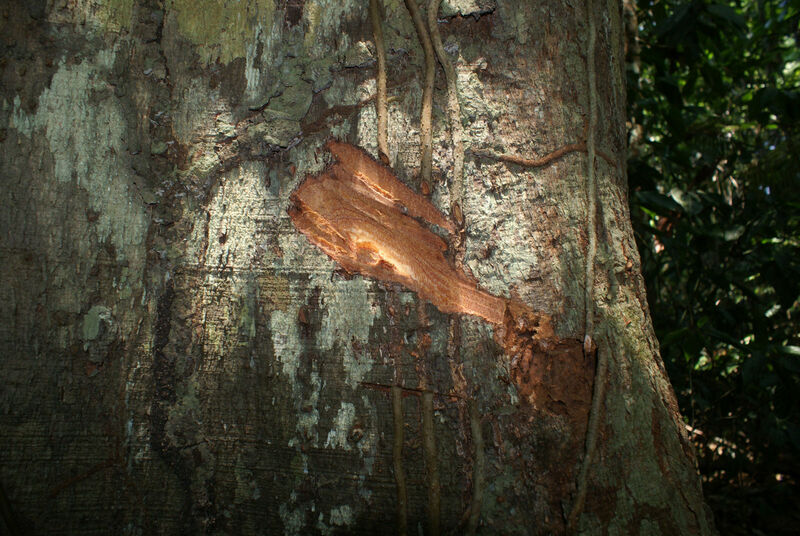 and Leucaena in Central America (Polhill, 1997). Some are grown as impenetrable spiny hedges, living fence-lines and windbreaks. 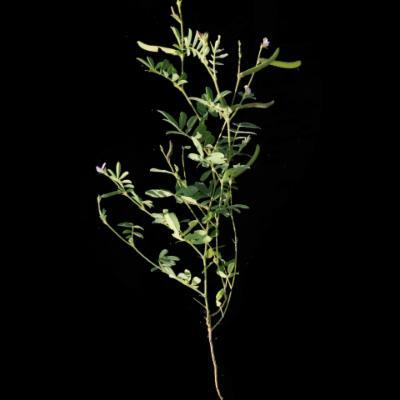 In the 1980s and 1990s a number of seed banks targeted multipurpose leguminous trees for introduction as trial species in agroforestry systems and legumes form a large percentage of ex situ conservation programmes. Species of Acacia, Anadenanthera Speg., Dalbergia L.f., Erythrina L., Prosopis L. and Pterocarpus Jacq. 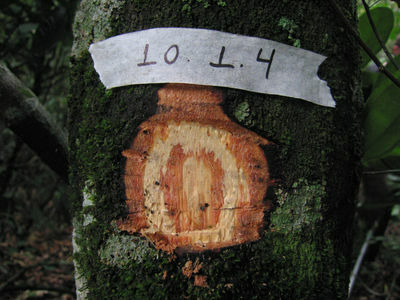 are all important woodytree legumes in forestry. Legume timber and wood from many species has long been put to a multitude of uses, ranging from heavy construction (house and boat building, railway sleepers and cart wheels), to paper and plywood manufacture, and fine furniture production, carpentry, marquetry and veneer work. Woods high in silica (e.g. Dicorynia guianensis Amshoff) are of particular value in marine construction. Some species (e.g. 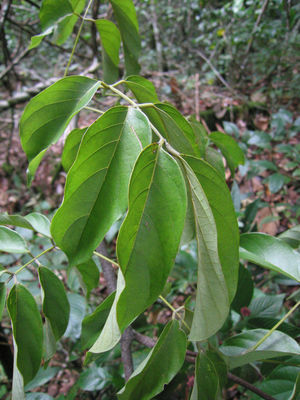 Dalbergia nigra (Vell.) Allem. ex Benth.) are now considered rare and endangered because of over-exploitation due to their commercially valuable timbers. Caesalpinia echinata Lam. (brasil wood or pau brasil, the tree from which the country Brazil took its name), once a source of an important red dye and still the preferred wood for violin bows, has been reduced, by major habitat destruction, to a few populations along the Atlantic coast of Brazil. The Leguminosae (Fabaceae) are of cosmopolitan distribution. The family is well represented in the Neotropics and Africa, but relatively poorly represented in Asia. Australia is, however, very rich in legumes. The Caesalpinioideae and Mimosoideae have a mainly tropical and subtropical range, while the members of the Papilionoideae are mainly temperate, but also contain many genera confined to the tropics. There are 314 legume genera present in the Neotropics, and a few of these genera and a number of species occur amphi-atlantically in Central and/or South America and Africa. 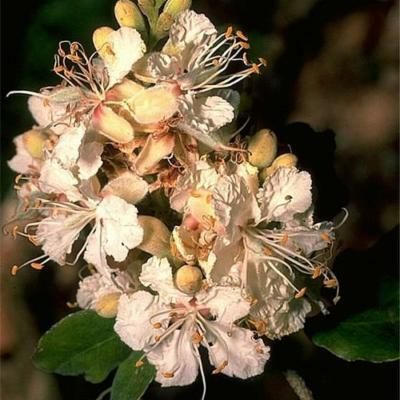 Genera of tribe Brogniartieae occur in the Neotropics and Australia, with no representatives in Africa. Leaves usually bipinnate or less frequently paripinnate, often with specialized "ant" glands, sometimes with a tendril.Inflorescences usually heads or spikes, although these frequently aggregated into more compound structures. Flowers radially symmetrical, usually small. Sepals generally united at the base. Petals valvate in bud, the median petal (similar in size and shape to the other 4) not overlapped or overlapping the other 4. 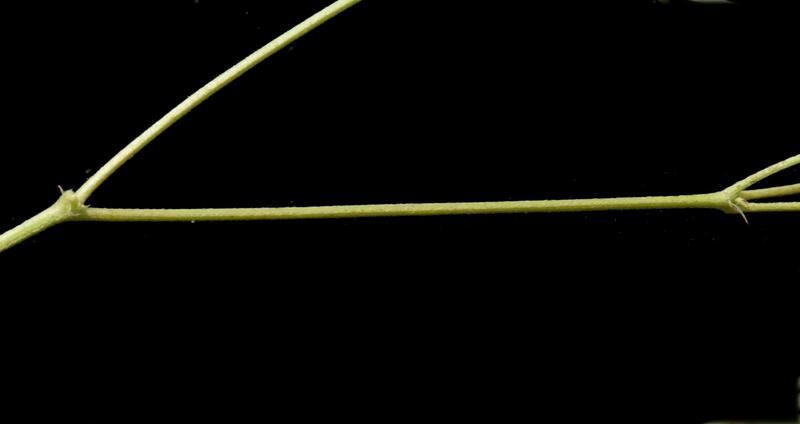 Stamens (3-)10-100(-100+), usually all similar in shape and size, filaments free or fused at the base, always exserted. Seeds usually with an open pleurogram on each lateral surface. Leaves usually bipinnate, paripinnate or bifoliolate, rarely simple or 1-foliolate, sometimes with specialized glands, not usually with a tendril (present in a few Bauhinia spp.). Flowers usually bilaterally symmetrical, rarely radially symmetrical, usually relatively large. 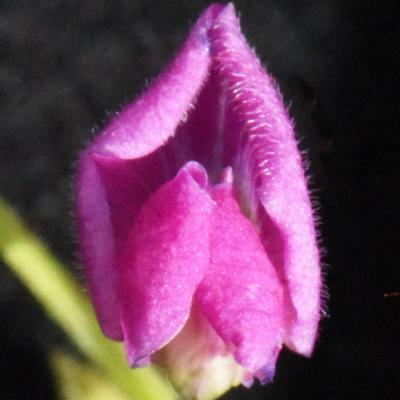 Petals imbricate in bud, the median petal overlapped by the lateral 4. Stamens (1-)10(-50), sometimes dimorphic or heteromorphic, filaments free or fused at the base, exserted or included. 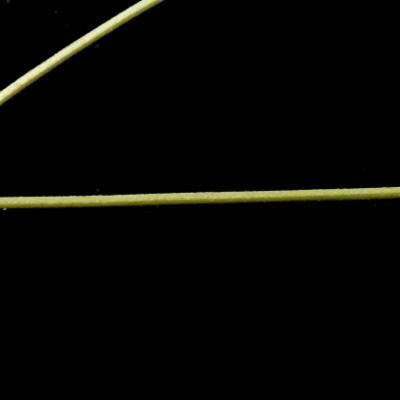 Seeds either without a pleurogram or if pleurogram present then closed. 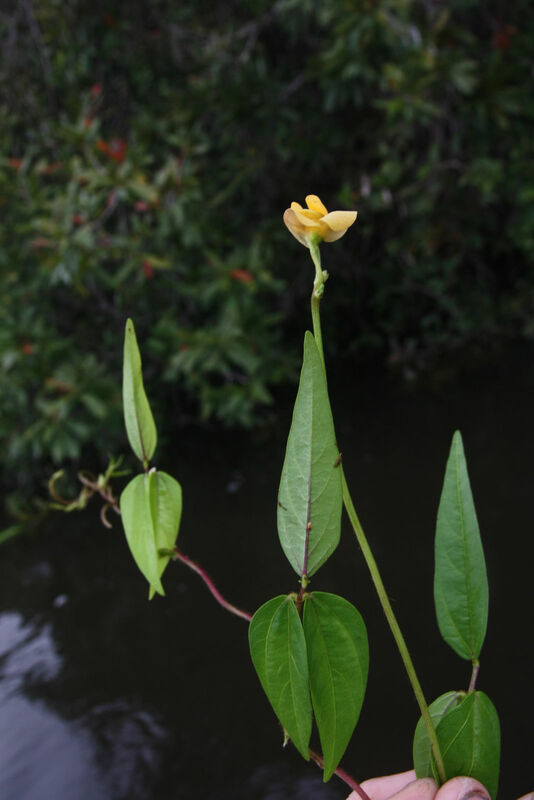 Leaves usually pari- or imparipinnate, palmate or trifoliolate, sometimes simple or unifoliolate, sometimes with a tendril. Flowers usually bilaterally symmetrical pea flowers. Sepals united into a tube at base. 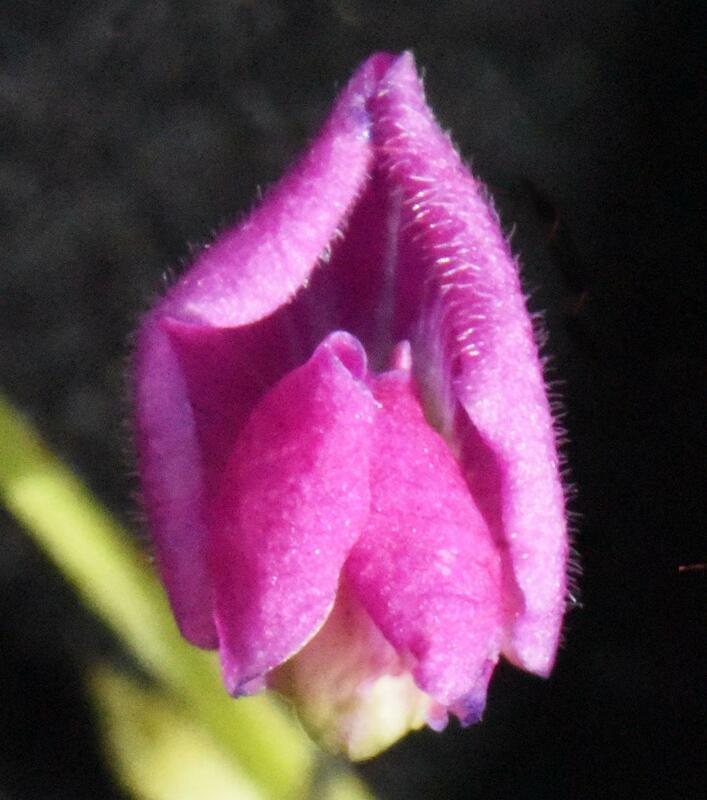 Petals imbricate in bud, the median petal (also known as the standard, banner or vexillum) overlaps the other 4. Stamens (9-)10(-many), sometimes dimorphic, usually diadelphous (9 fused,1 free or 5+5), sometimes monadelphous (all 10 fused), filaments rarely free, exserted or included. Seeds usually hard and with a complex hilar valve (as in beans and peas), pleurogram absent. fruit a legume dehiscing along upper and/or lower sutures, a loment breaking into single units, indehiscentdrupaceous, samaroid or craspedium (vs. usually dry capsules dehiscing by 2 valves). fruit a legume dehiscing along upper and/or lower sutures, a loment breaking into single units, indehiscentdrupaceous, samaroid or craspedium (vs. usually follicles). fruit a legume dehiscing along upper and/or lower sutures, a loment breaking into single units, indehiscentdrupaceous, samaroid or craspedium (vs. septicidalcapsule). fruit a legume dehiscing along upper and/or lower sutures, a loment breaking into single units, indehiscentdrupaceous, samaroid or craspedium (vs. single-seeded, spinycapsule). fruit a legume dehiscing along upper and/or lower sutures, a loment breaking into single units or indehiscentdrupaceous or samaroid (vs. fruit usually a loculicidal capsule (but several exceptions) splitting into two 1-seeded valves). fruit a legume dehiscing along upper and/or lower sutures, a loment breaking into single units or indehiscentdrupaceous (vs. fruit usually a loculicidal capsule splitting into two 1-seeded valves). fruit a legume dehiscing along upper and/or lower sutures, a loment breaking into single units or indehiscentdrupaceous, fruits sometimes winged (vs. capsules (bladdery, septifragal or loculicidal), drupes, berries, schizocarps, fruits often winged). fruit a legume dehiscing along upper and/or lower sutures, a loment breaking into single units or infrequently indehiscentdrupaceous or samaroid (vs. a drupe, berry or nut). Bruneau, A., Breteler, F.J., Weiringa, J.J., Gervais, G.Y.F. & Forest, F. 2000. Phylogenetic relationshiips in tribes Macrolobieae and Detarieae as inferred from chloroplast trnL intron sequences. In: P.S. Herendeen & A. Bruneau (eds.). Advances in Legume Systematics 9: 121-149. Royal Botanic Gardens, Kew. Bruneau, A., Forest, F., Herendeen, P.S., Klitgaard, B.B. & Lewis, G.P. 2001. Phylogenetic relationships in Caesalpinioideae (Leguminosae) as inferred from chloroplast trnL intron sequences. Syst. Bot. 26: 487-514. Bruneau, A., Mercure, M. Lewis, G.P. & Herendeen, P.S. 2008. 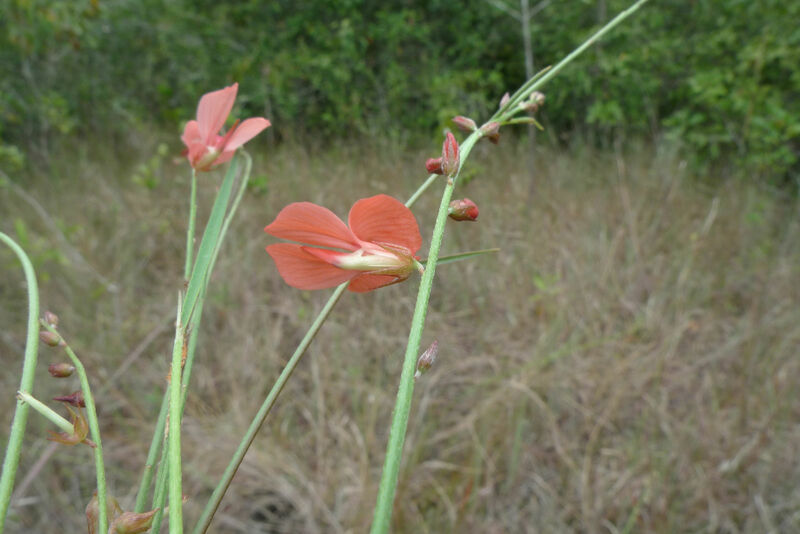 Phylogenetic patterns and diversification in caesalpinioid legumes. Botany 86: 697-718. Doyle, J.J., Chappill, J.A., Bailey, C.D. & Kajita, T. 2000. Towards a comprehensive phylogeny of legumes: evidence from rbcL sequences and non-molecular data. In: P.S. Herendeen & A. Bruneau (eds.). Advances in Legume Systematics part 9: 1-20. Royal Botanic Gardens, Kew. Doyle, J.J & Luckow, M.A. 2003. The rest of the Iceberg. 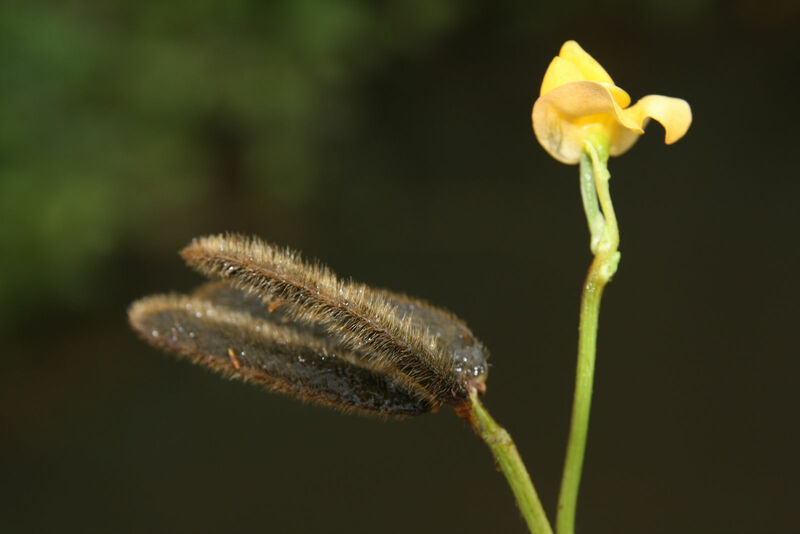 Legume Diversity and Evolution in a Phylogenetic Context. Plant Physiol. 131: 900-910. Du Puy, D.J., Labat, J.-N., Rabevohitra, R., Villiers, J.-F., Bosser, J. & Moat, J. 2002. 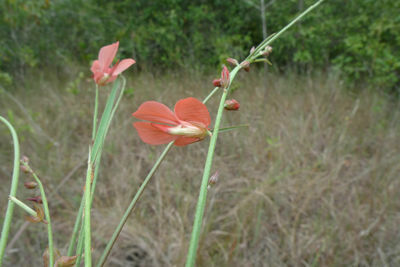 The Leguminosae of Madagascar. Royal Botanic Gardens, Kew. 737 pp. Graham, P.H. & Vance, C.P. 2003. 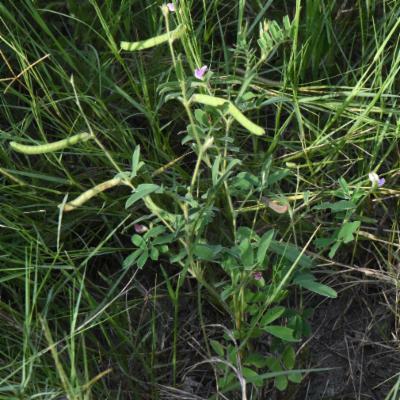 Legumes: Importance and Constraints to greater use. Plant Physiol. 131: 872-877. Greuter, W. et al. 2000. International code of botanical nomenclature adopted by the Sixteenth International Botanical Congress, St. Louis, July-August 1999. Regnum Vegetabile, vol. 338, 474 pp. Herendeen, P. S., Bruneau, A. & Lewis, G. P. 2003. 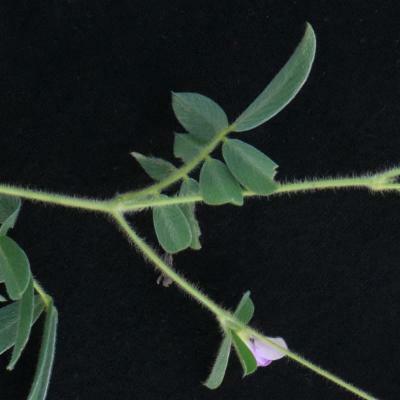 Phylogenetic relationships in Caesalpinioid legumes: a preliminary analysis based on morphological and molecular data. In: B.B. Klitgaard & A. Bruneau (eds.). Advances in Legume Systematics 10: 37-62. Royal Botanic Gardens, Kew. Isely, D. & Polhill, R.M. 1980. 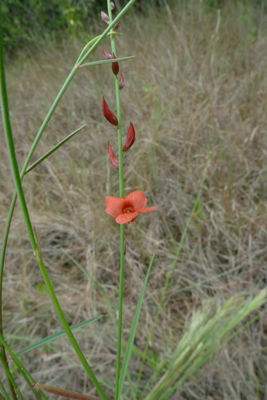 Leguminosae subfamlily Papilionoideae. Taxon 29(1): 105-119. Kajita, T. Ohashi, H., Tateishi, Y., Bailey, C.D. & Doyle, J.J. 2001. rbcL and legume phylogeny, with particular reference to Phaseoleae, Millettieae and allies. Syst. Bot. 26: 515-536. Klitgaard, B.B. & Bruneau, A. (eds.) 2003. Advances in Legume Systematics, part 10. Higher Level Systematics. Royal Botanic Gardens, Kew. 422 pp. Lewis, G.P. 1987. Legumes of Bahia. Royal Botanic Gardens, Kew. 369 pp. Lewis, G.P. Owen, P.E. 1989. 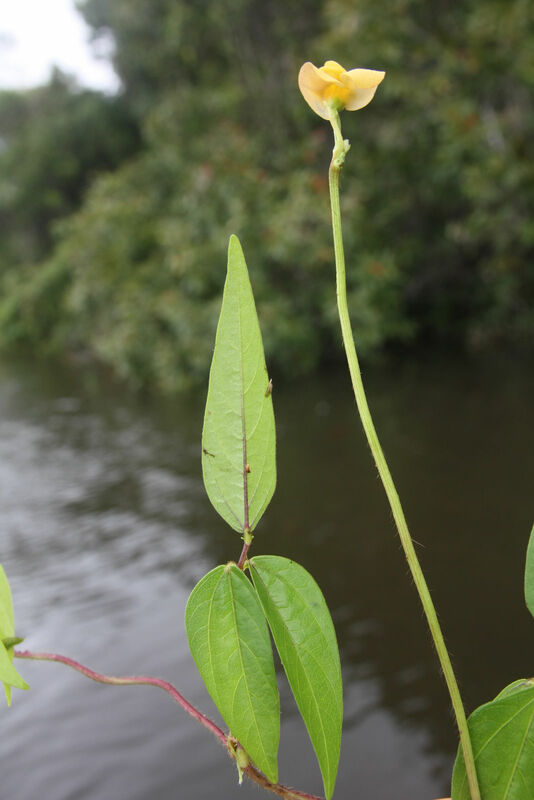 Legumes of the Ilha de Maracá. Royal Botanic Gardens, Kew. 95 pp. Lewis, G.P. & Klitgaard, B.B. 2002. Leguminosas del sur de Ecuador, pp. 185-224. En: Z. Aguirre M., J. E. Madsen, E. Cotton y H. Balslev (eds. ), Botánica Austroecuatoriana, Universidad de Aarhus, Dinamarca. Lewis, G.P. & Schrire, B.D. 2003. Leguminosae or Fabaceae? In: B.B. Klitgaard & A. Bruneau (eds.). Advances in Legume Systematics part 10: 1-3. Higher Level Systematics. Royal Botanic Gardens, Kew. Lewis, G.P. & Schrire, B.D. 2005. Leguminosae or Fabaceae? In: G. Lewis, B. Schrire, B. Mackinder & M. Lock. Legumes of the World, pp. 1-2. Royal Botanic Gardens, Kew. Lewis, G., Schrire, B., Mackinder, B., Lock, M. (eds.) (2005). Legumes of the World. Royal Botanic Gardens, Kew. 577 pp. Lindley, J. 1836. 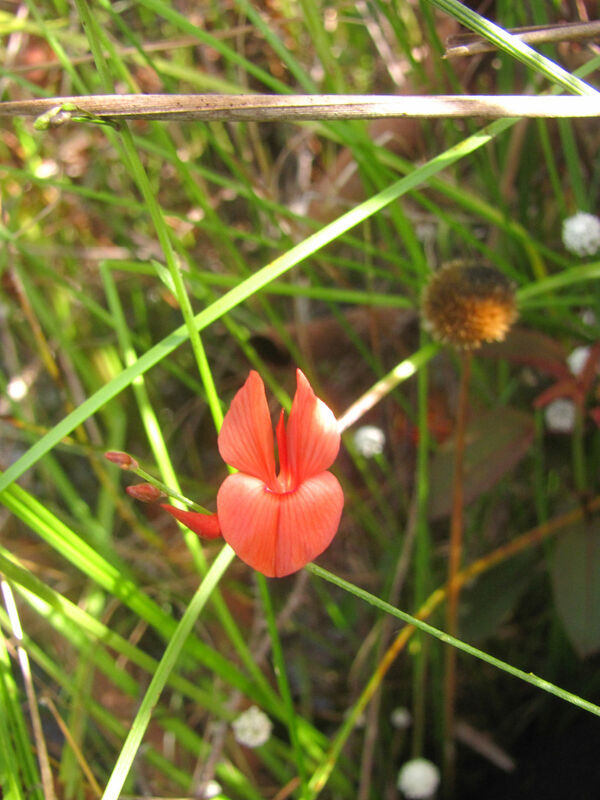 Leguminosae or Fabaceae tribe Papilionaceae, pp. 148-157, In: A natural system of botany. Longman, London. Luckow, M., Miller, J.T., Murphy, D.J. & Livshultz, T. 2003. A phylogenetic analysis of the Mimosoideae (Leguminosae) based on chloroplast analysis DNA sequence data. In B.B. Klitgaard & A. Bruneau (eds.). 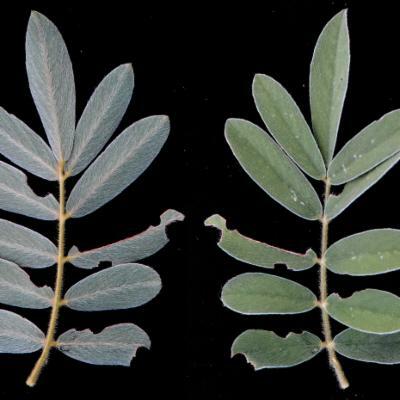 Advances in Legume Systematics part 10: 197-220. Higher Level Systematics. Royal Botanic Gardens, Kew. Neill, D.A., Klitgaard, B.B. & Lewis, G.P. (1999). Caesalpiniaceae, Mimosaceae and Fabaceae. In: P.M. Jørgensen & S. León-Yánez (eds.). Catalogue of the vascular plants of Ecuador. Monographs in Systematic Botany from the Missouri Botanical Garden, vol. 75: Caesalpiniaceae pp. 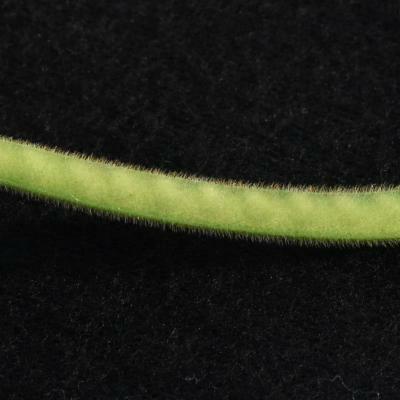 368-374, Fabaceae pp. 468-484, Mimosaceae pp. 591-601. Polhill, R.M & Raven, P.H. (eds.) 1981. Advances in legume Systematics part 1. Royal Botanic Gardens, Kew. 425 pp. Polhill, R.M & Raven, P.H. (eds.) 1981. Advances in legume Systematics part 2. Royal Botanic Gardens, Kew. 427-1049 pp. Polhill, R. M. 1994. Complete synopsis of legume genera. In: F.A. Bisby, J. Buckingham, & J.B. Harborne. 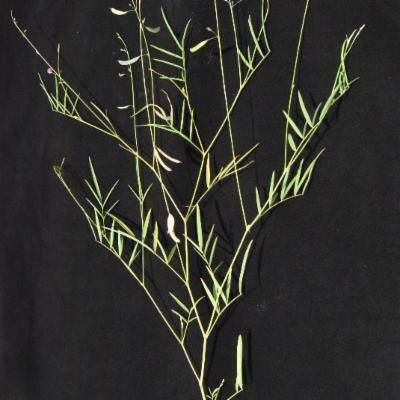 Phytochemical Dictionary of the Leguminosae, pp. : xlix-lvii. Chapman & Hall. Pennington, R.T., Lavin, M., Ireland, H., Klitgaard, B.B. & Preston, J. 2001. 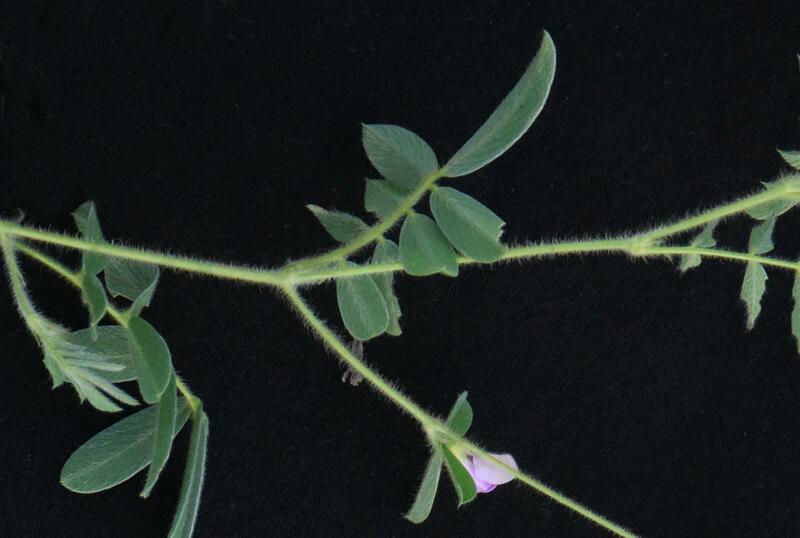 Phylogenetic relationshsips of basal papilionoid legumes based upon sequences of the chloroplast trnL intron. Syst. Bot. 26: 537-566. Stafleu, F.A. 1978. International code of botanical nomenclature adopted by the Twelfth International Botanical Congress, Leningrad, July 1975. Regnum Vegetabile, vol. 97, 457 pp. Van den Bosch, K. & Stacey, G. 2003. 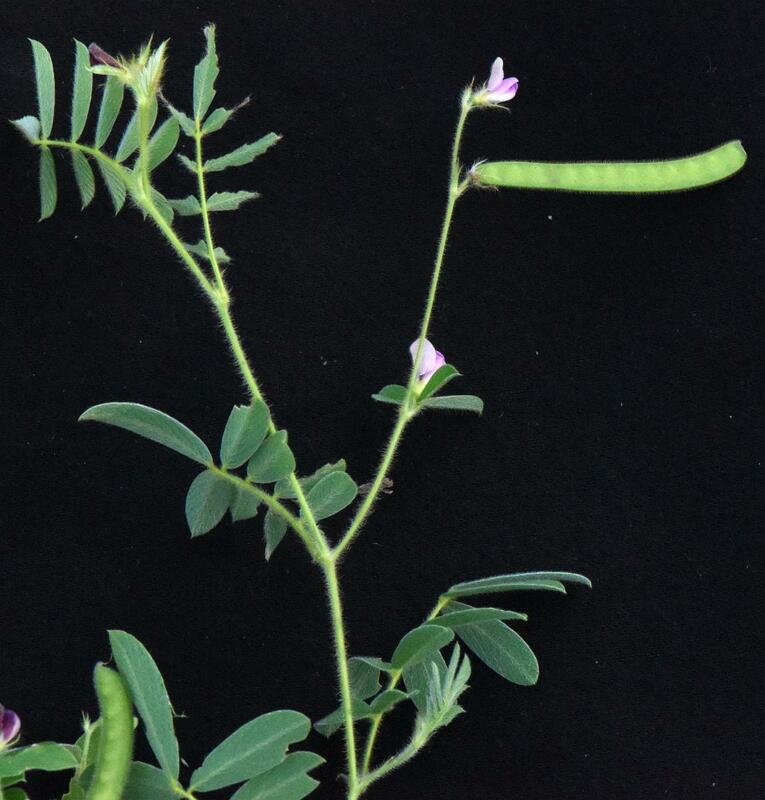 Advances in Legume Biology. Plant Physiol. 131: 839. Wojciechowski, M.F., Sanderson, M.J., Steele, K.P. & Liston, A. 2000. Molecular phylogeny of the "Temperate Herbaceous Tribes" of papilionoid legumes: a supertree approach. In: P.S. Herendeen & A. Bruneau (eds.). Advances in Legume Systematics 9: 277-298. Royal Botanic Gardens, Kew. Wojciechowski, M.F. 2003. Reconstructing the phylogeny of legumes (Leguminosae): an early 21st century perspective. In: B.B. Klitgaard & A. Bruneau (eds.). Advances in Legume Systematics part 10: 5-35. Higher Level Systematics. Royal Botanic Gardens, Kew. Wojciechowski, M.F., Lavin, M. & Sanderson, M.J. 2004. 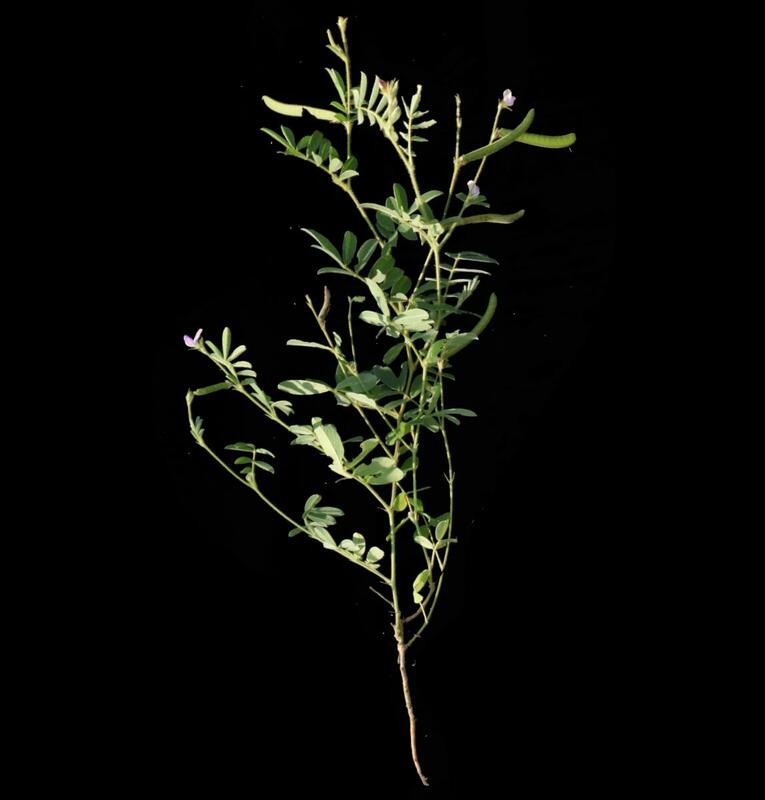 A phylogeny of legumes (Leguminosae) based on analysis of the plastid matK gene resolves many well-supported subclades within the family. Amer.J.Bot. 91(11): 1845-1861. Zarucchi, J.L. 1993. Fabaceae. In: L. Brako & J.L. Zarucchi (eds.). Catalogue of the flowering plants and gymnosperms of Peru. Monographs in Systematic Botany from the Missouri Botanical Garden, vol. 45: Fabaceae pp. 444-527. Klitgård, B.B. &amp; Lewis, G.P. (2010). Neotropical Leguminosae (Papilionoideae). 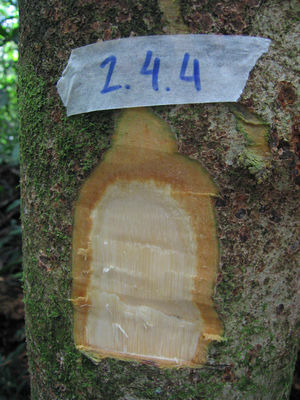 Habits: herbs, shrubs, trees, twiners or lianas; root nodules generally present. 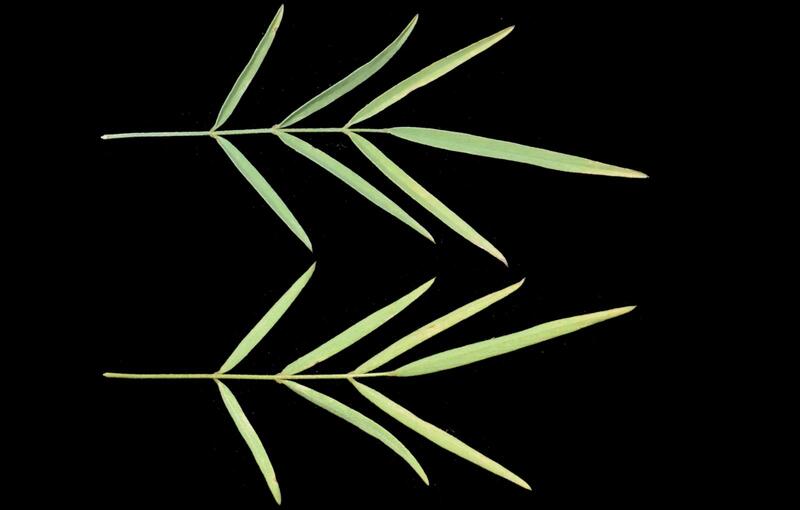 Leaves usually compound (paripinnate or imparipinnate, palmate or trifoliolate) with two to many leaflets, sometimes simple or unifoliolate, rarely with a tendril. 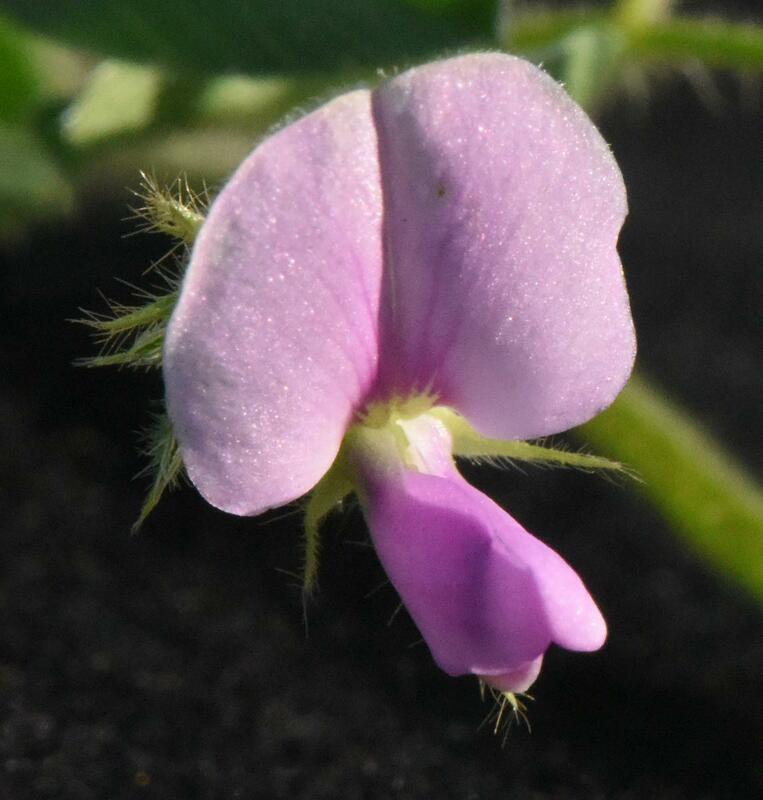 Flowers usually bilaterally symmetrical pea flowers; sepals united into a tube at base; petals imbricate in bud, the median petal (also known as the standard, banner or vexillum) overlapping the other 4; stamens (9-)10(-many), sometimes dimorphic, usually diadelphous (9 fused + 1 free or 5 + 5), sometimes monadelphous (all 10 fused) or filaments free, exserted or included in the corolla. Seeds usually hard and with a complex hilar valve (as in beans and peas), pleurogram absent. Worldwide the Papilionoideae comprises 28 tribes, 478 genera, and 13,800 species. Of these 188 genera occur in the Neotropics. Aymard C., G.A., Cuello A., N.L., Berry, P.E., Rudd, V.E., Cowan, R.S., Fantz, P.R., Maxwell, R.H., Stirton, C.H., Poppendieck, H.-H., Lima, H.C. de, Fortunato, R.H., Stergios, B., Enrich, N.X. de, Neill, D.A., Pennington, R.T. & Gil, C. 1999. Fabaceae. In: P.E. Berry, K. Yatskievych & B.K. Holst (vol. eds. 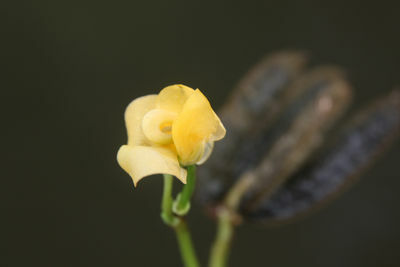 ), Flora of the Venezuelan Guayana, 5: 231-433. Missouri Botanical Garden, St Louis. Lewis, G.P. & Schrire, B.D. 2003. Leguminosae or Fabaceae ? In: B.B. Klitgaard & A. Bruneau (eds.). Advances in Legume Systematics part 10: 1-3. Higher Level Systematics. Royal Botanic Gardens, Kew. Lewis, G.P. & Schrire, B.D. 2005. Leguminosae or Fabaceae ? In: G. Lewis, B. Schrire, B. Mackinder & M. Lock. Legumes of the World, pp. 1-2. Royal Botanic Gardens, Kew. Adenolobus (Harv. ex Benth.) Torre & Hillc.